I had a second unsuccessful attempt to try a new Turkish place called Verdo, just yesterday. On both occasions, I ended up lunching in the wonderful Apiary next door, which is always a pleasure, with regular guest quester Frances joining on the first occasion, then new quester Freya my companion on the second visit. I mention it because during the course of conversation with Freya she mentioned that she’d come across some lovely soup at a place called the Stage Door in Dunfermline. Given that I was off to that part of the world the very next day, this was very welcome intelligence. 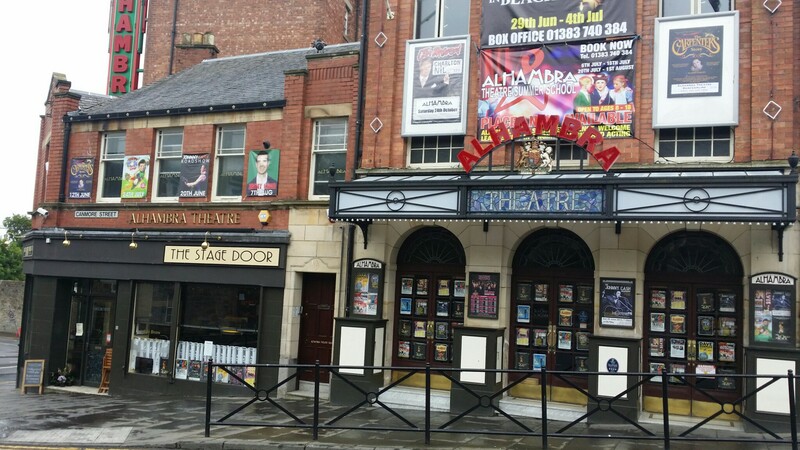 After stepping off the train into a light mizzle, I toddled just along the road and soon found the place nestled next to the Alhambra Theatre. The place has a smart but homely feel to it. It was busy with lunchtime trade, but my wonderfully attentive waitress/ower suggested I take a seat in the level down just a few steps. This suited me very nicely. Their day menu is fairly brief but it’s extensively augmented by a specials board. 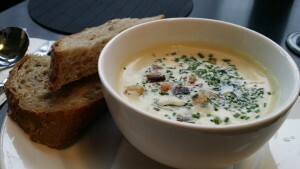 Although the specials were where the action was, I stuck to the regular menu, opting for the soup of the day, which was celeriac, pine nuts and truffle oil. I thought I’d give their croque madame a whirl to follow. The soup appeared looking rather bonnie and was accompanied by two chunky slices of delicious bread, baked on the premises. It was outstanding stuff, creamy and rich, with the flavours balanced beautifully. It rightly joins the Soupquest exceptionals. 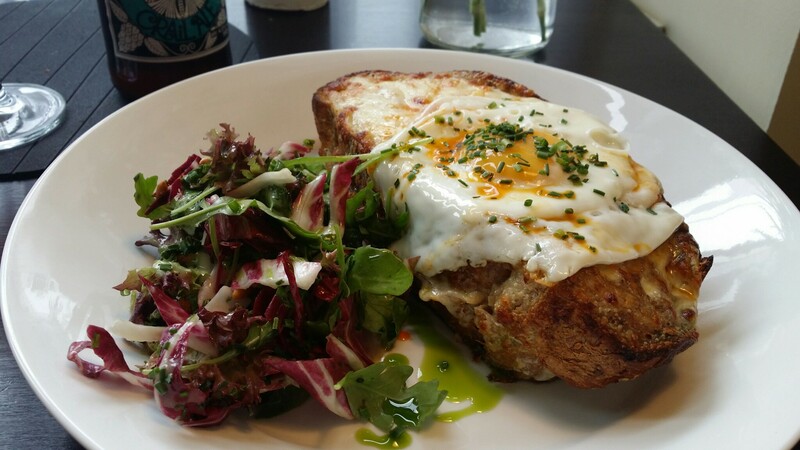 The croque madame was every bit as good and was quite the best croque I’ve been served of late. The ham was superb, the bechamel lightly fragrant and the excellent bread was again to the fore. It was accompanied by a lovely dressed salad. It was a great dish. 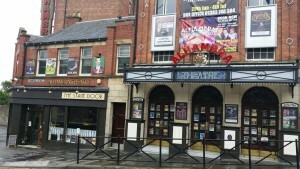 So overall, I was blown away by the Stage Door. It’s just about the best meal I’ve eaten in Scotland this year, so rightly deserves the lofty score given below. I look forward to visiting again soon and would recommend you dust off the Dunfermline train timetable and make it your business to try it, too.